We live in Newark, New Jersey. And it's a city — like so many other American cities — that's suffering. Most people associate Newark with its airport or its violent history. They especially remember the Newark riots of 1967, during which 26 people died, hundreds were injured and the city endured millions of dollars in property damage. People assume that it was this one event that left the city in a state from which it has never fully recovered. We started researching Newark's past for our short thesis film at NYU's Graduate Film School. The film, 1967, was fictional, an interracial love story set during that hot, turbulent summer in Newark. With Spike Lee as a teacher/mentor and later as an executive producer, we sought to write a longer, more substantial screenplay and needed to ask lots of questions. We also wanted to record the answers. This work became Revolution '67, the documentary film. Our first interviews with eyewitnesses Amiri Baraka (who in '67 was known as LeRoi Jones), former Students for a Democratic Society (SDS) president Tom Hayden (who had lived in Newark from 1964 to 1968) and historians Ken Jackson and Clement Price brought many surprises. The most startling was the myth of the black sniper. According to newspaper articles of the time, and even today, most of the riot's casualties were said to have been caused by black snipers from the Newark community. This was information that we dramatized in our NYU thesis film. But our interviewees presented evidence that black snipers didn't exist and that most of the killings were committed by law enforcement: Newark police, New Jersey State Police and the National Guard. Another revelation was that the riots were a rebellion against deplorable conditions stemming not from a single day, or from months or years, but from decades of corruption and neglect. This led us to a reexamination of how slavery, the economic motives of the Civil War, Jim Crow laws, unscrupulous real estate and banking practices, the civil rights era, the Vietnam War and the veracity (or lack thereof) of media coverage factored into Newark's revolution of '67. As Newark's history unfolded, so did America's. Tom Hayden states in our film: "To recover, you have to know what happened." Forty years later, after numerous Newark officials have been indicted and/or imprisoned, and the vital signs of the city are still poor: high poverty rate of 25%, 8th highest murder rate in the nation, 9.5% unemployment, and 22% high school graduation rate - we recognize that Newark is still suffering and must learn from its past. The greatest lesson of the 1960s is that the people must empower themselves in order for that change to occur. As for building in the Downtown being a harbinger of better times, this claim is a long standing one, including 1960’s Newark Mayor Addonizio - prior to his conviction for corruption - touting Newark as having the biggest building boom in the history of the city. 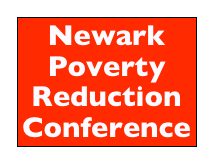 The only real hope for Newark’s improvement is POVERTY REDUCTION.